Light microscope has useful magnification of 500x to 1500x. The source of illumination for object is the visible wavelength ranging from 3900 A0 to 7600 A0. Smaller organelles like lysosomes, ribosomes (smaller than 0.20μ) cannot be seen under this light microscope. Another draw back of this microscope is that living cells cannot be observed directly. They are to be first killed, fixed and stained which may alter the shape and contents of cell. 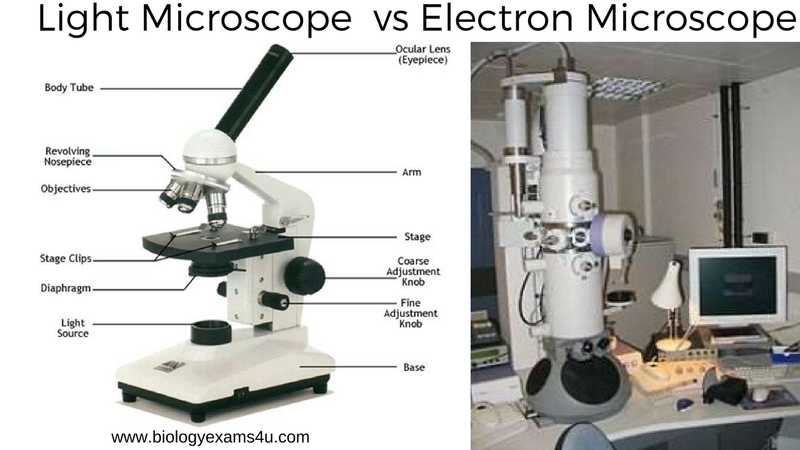 Electron microscope (EM) is an instrument which permits a direct study of biological ultra structure. Electron microscope was discovered by M.Knoll and E. Ruska of Germany (1932). Its resolving power is about 250 times than that of the light microscope. The essential constituents assembled vertically are as a) an illuminating system b) a specimen chamber c) an objective lens, d) intermediate and projecting lens and e) a viewing chamber with facilities for photographing electron images. Good surface details (SEM) or internal details (TEM) can be seen. Light rays are used to illuminate the specimen. Condenser, objective and eye piece lenses are made of glass. 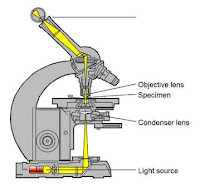 Light microscope has low resolving power i.e., below 0.25 μm to 0.30 μm. Electron microscope ha high resolving power i.e., about 250 times more than light microscope. Thus it can resolve down to 0.0001 μm. It has a useful magnification of 500x to 1500x. 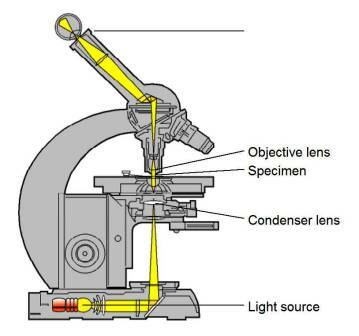 In light microscope the image formation depends upon of light absorption in different zones of the objects. In electron microscope, it is due to electron scattering. Image is seen by eyes through ocular lens. No screen is needed. Nice , the answer was satisfactory . keep it up . Very resourceful!..im getting an A! All the points shared are very relevant and clear. It is difficult to find such exact description of the difference.